Makigami uploaded a new video on YouTube. It is Nyuunen, shooted on October 26th 2009 at Shibuya Quatro. The remastering of 1978 is now complete and ready to go. The original recording was done on the 4 track, reel-to-reel tape. At the remastering, 5.6 Mhz DSD mastering was used. It is the highest resolution available right now so surely it sounds great. The reissue of 1978 will be released on March 21st, 2010. Another World Of Hikashu is a concert series which is the showcase event of the members' solo works. It seems that it is going to be bi-monthly. The 2nd and 3rd events are announced as follows. 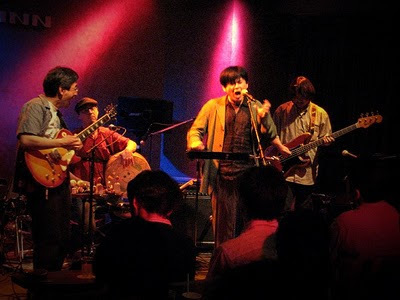 Makigamisantachi (its meaning: "Mr. Makigami and his company") is electro improvising trio. It has been a while since their last gig so it is nice to see them again. Samm Bennett is American percussionist, used to be a member of the improvisation unit called Third Person, with cellist Tom Cora. Actually he once played with Makigamisantachi in 2007. At the gig, it was supposed he would play duo with Makigami but he eventually played with the trio and it turned out so good, reportedly. Certainly it is going to be fine performance again. I'm quite surprised to know Ru-Inchi (sp?) is back. There's so little information about the group. There are no recording available (maybe there's some obscure cassette release) and I don't even know what kind of music they played. As far as I know, the band was formed in early 1980s with Mita, Sakaide and Sensui but the personnel was always in flux. Sensui was a member of Hikashu in 1981-1982 and after quitting the band, he still played with Ru-Inchi. I don't know what the name means, either. At least I could say it is not Japanese. I remember hearing somewhere that it means "Rope" in Chinese but I'm not sure. It is thrilling to see Sensui playing with Hikashu members again. He still plays the drums but it's quite been a while since he played with them. The last gig of Ru-Inchi was held circa 1986. I'm really looking forward to seeing them at last. 2. Theme From "No Smoking"
Recorded live at Shibuya Kokaido on August 13th, 1980. 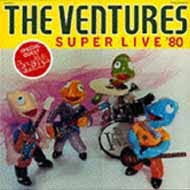 Besides Chameleon, this 2-LP set is the other Ventures' album related to Hikashu. How Hikashu ended up playing with the Ventures is not known. Maybe the producer of the Chameleon album, Kato Kazuhiko, invited them to participate. The concert consisted of three sets. Hikashu played first, the Ventures were next, then the two bands got together to play. 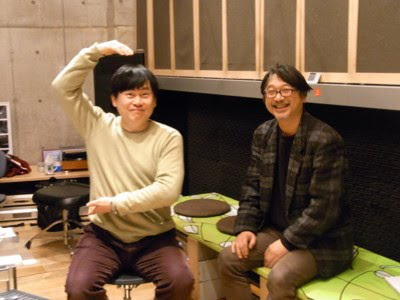 Also, Kato Kazuhiko and Chikada Haruo joined the last set. At rehearsal, Don and Nokie gave Mitama quick lesson how to play that Glissando on Diamond Head. Unfortunately, the album has never been reissued. But the first three tracks from Side D were included in Chameleon CD (2000 edition). And D1 was also included in Hikashu's album, Hikashu Super (1981).